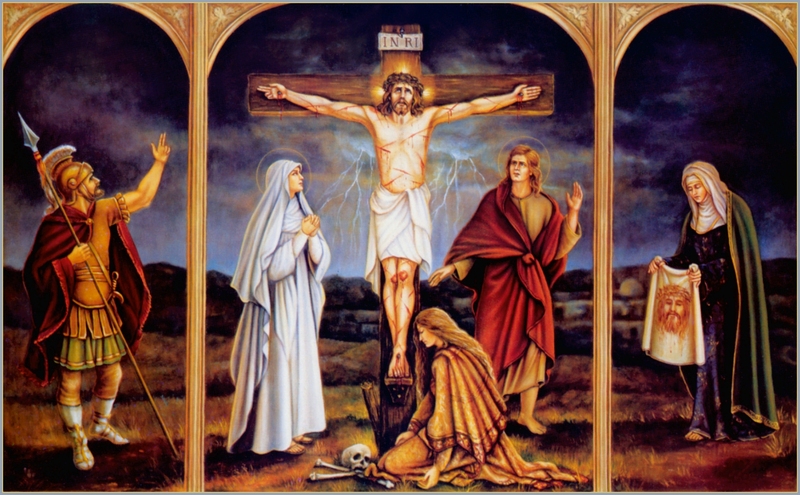 This is a reminder to start your novena to the Divine Mercy on GOOD FRIDAY. If you are new to Divine Mercy, please take a few minutes to explore the above website link. 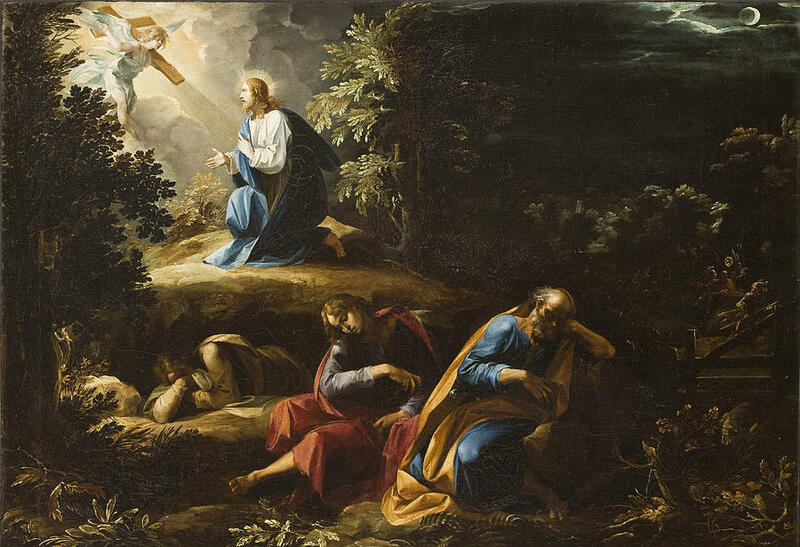 The Octave of Easter culminates on Divine Mercy Sunday, April 7th. Confessions, recitation of the chaplet, and veneration of the image will be available at St. Stephen Church before and after the 9:30am Latin Mass. Powerful Graces await! The schedule of Latin liturgies for Holy Week is below. 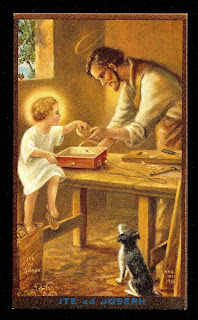 The wonderful feast of St. Joseph is Tuesday, Mar 19. In honor of that day, Immaculate Conception Cleveland will have a low Mass at 6pm and St. Stephen will have high Mass at 6:30pm. I may with spotless mind, pure heart and chaste body, ever serve Jesus and Mary most chastely all the days of my life. Amen. This is the general rule that applies to all individual graces given to a rational creature. Whenever divine grace selects someone to receive a particular grace, or some especially favoured position, all the gifts for his state are given to that person, and. enrich him abundantly. This is especially true of that holy man Joseph, the supposed father of our Lord Jesus Christ, and true husband of the queen of the world and of the angels. He was chosen by the eternal Father to be the faithful foster-parent and guardian of the most precious treasures of God, his Son and his spouse. 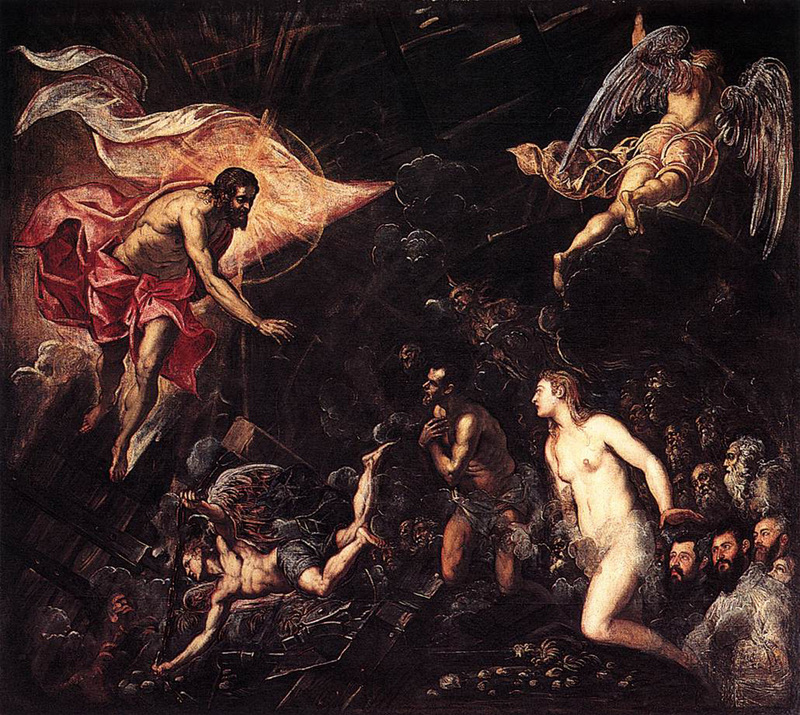 This was the task which he so faithfully carried out. For this, the Lord said to him, "Good and faithful servant, enter into the joy of your Lord." A comparison can be made between Joseph and the whole Church of Christ. Joseph was the specially chosen man through whom and under whom Christ entered the world fittingly and in an appropriate way. 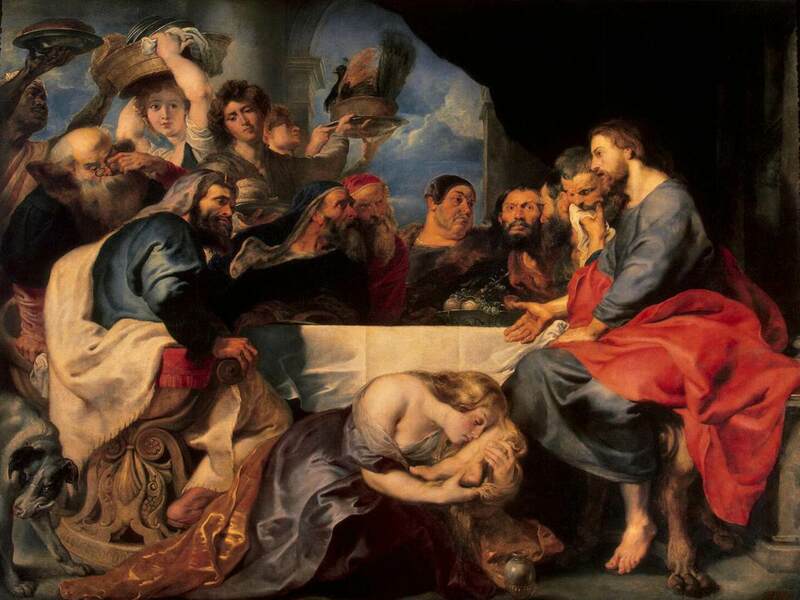 So, if the whole Church is in the debt of the Virgin Mary, since, through her, it was able to receive the Christ, surely after her, it also owes to Joseph special thanks and veneration. For he it is who marks the closing of the old testament. In him the dignity of the prophets and patriarchs achieves its promised fulfilment. Moreover; he alone possessed in the flesh what God in his goodness promised to them over and again. It is beyond doubt that Christ did not deny to Joseph in heaven that intimacy, respect, and high honour which he showed to him as to a father during his own human life, but rather completed and perfected it. Justifiably the words of the Lord should be applied to him, "Enter into the joy of your Lord." Although it is the joy of eternal happiness that comes into the heart of man, the Lord prefers to say to him "enter into joy". The mystical implication is that this joy is not just inside man, but surrounds him everywhere and absorbs him, as if he were plunged in an infinite abyss. Therefore be mindful of us, blessed Joseph, and intercede for us with Him Whom men thought to be your Son. Win for us the favour of the most Blessed Virgin your spouse, the mother of Him Who lives and reigns with the Holy Spirit through ages unending. Amen. 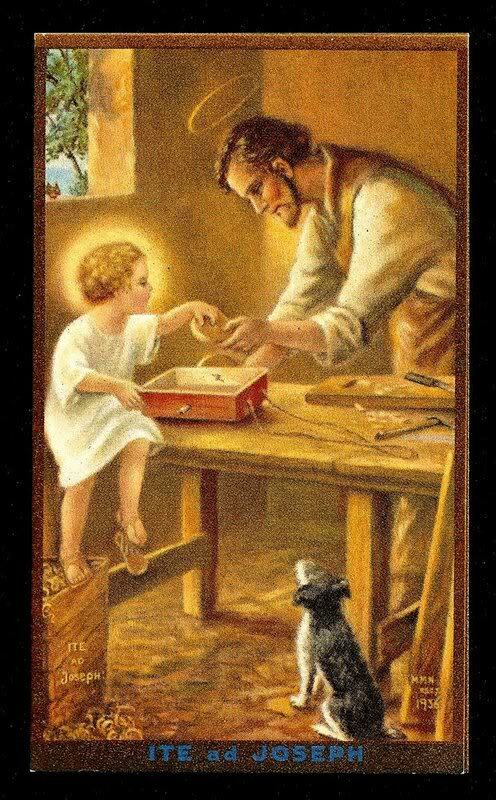 Let us dedicate the month of March to St. Joseph. ever serve Jesus and Mary most chastely all the days of my life.